The Aerial Threat Outfit in Fortnite BR. You can buy it from the Cash Store for 1,200 vbucks. 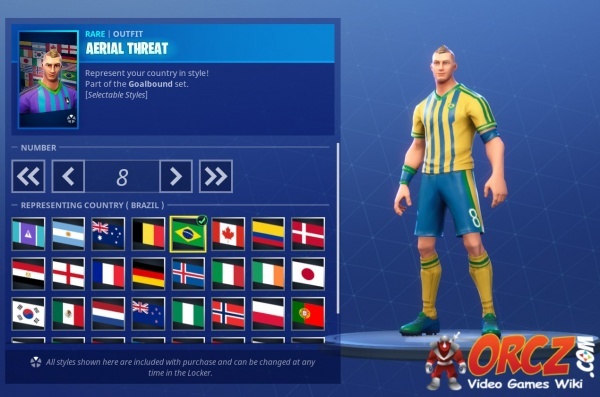 Aerial Threat is the name of one of the outfits in Fortnite Battle Royale. Number between 0-99, appears on the tress. Nation, affects the tresses pattern and colors. 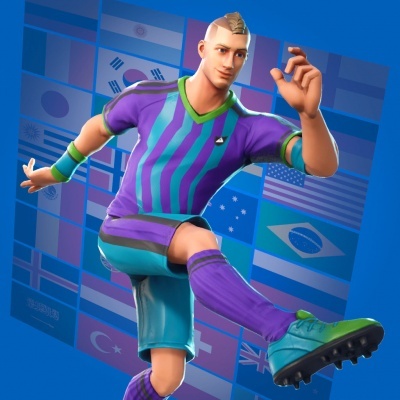 This and other soccer skins were released on June 14th, 2018, to commemorate the 2018 World Cup Soccer. 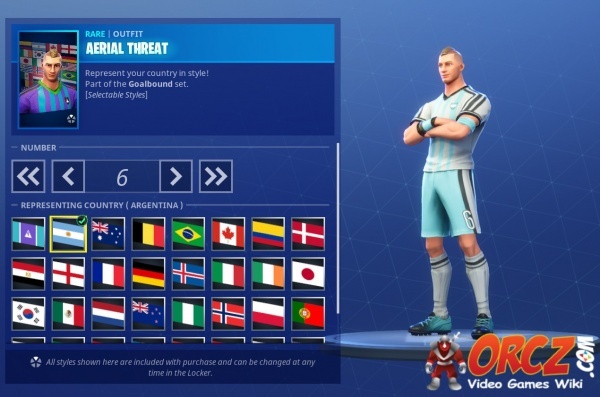 The list of nations available in Selectable Styles does not represent the full list of nations playing in the 2018 World Cup.